0 How Does Your Client See You? When we see things, we mostly assume that the way we see them is the way they really are or the way they should be. And because of that our behaviours grow out of those assumptions. The way we see things is the source of the way we think and the way we act. Let’s take you to an intellectual experience which helps you to understand how your client sees you as a financial planner. Take a few seconds and look al the picture in this blogpost. Take a good look. 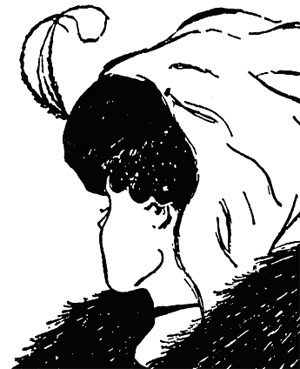 Do you see a woman? How old would you say she is? What does she look like? What is she wearing? If you are like me when I saw this picture for the first time, you probably would describe the woman in the picture to be about 25 years old, lovely, fashionable and a small nose. But what if I were to tell you that you’re wrong?